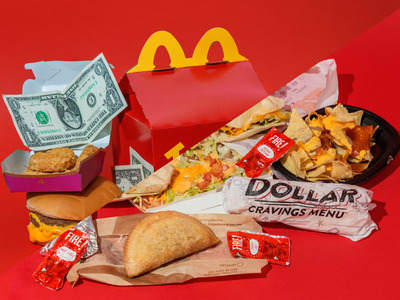 Hollis Johnson/Business InsiderMcDonald’s and Taco Bell’s value menus are helping the chains dominate fast food. McDonald’s,Taco Bell, and Burger King are winning the fast-food budget wars, according to a new report. With McDonald’s new $US1 $US2 $US3 value menu and Taco Bell’s $US1 menu, fast-food chains are working hard to win over bargain shoppers in 2018. Value is more important than ever, with “less free spending money lately” emerging as the top factor that customers cited for eating at a particular chain less often. Fast-food customers are hungrier than ever for good deals as the middle class shrinks across the US. Customers say “good value” is the top reason they would visit a fast-food chain more often, according to a UBS Evidence Lab survey shared with investors on Thursday. According to UBS analyst Dennis Geiger, McDonald’s remains the leader of the pack when it comes to winning over budget shoppers. Americans are associating the chain with “good value” at a higher rate than another other fast-food competitor. 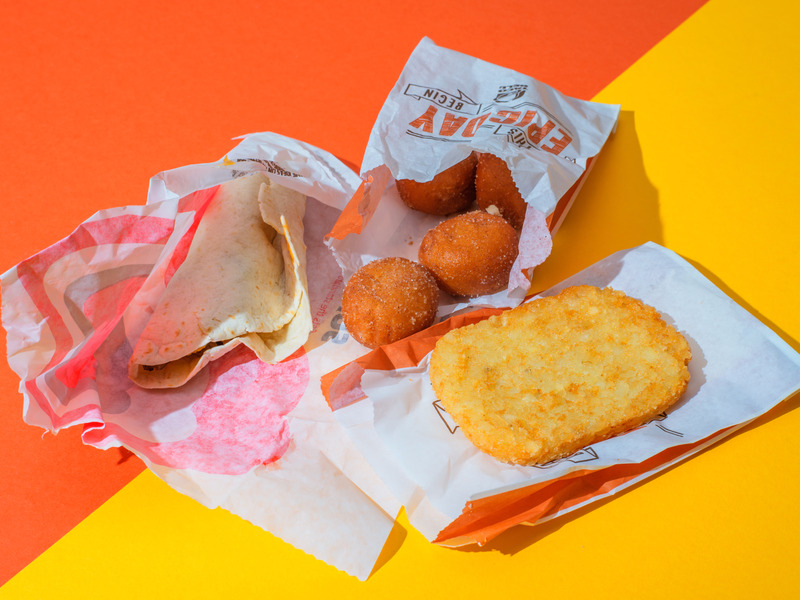 Hollis JohnsonTaco Bell’s breakfast value menu options. McDonald’s “increased focus on everyday value through its McPick 2 platform and now $US1 $US2 $US3 Dollar Menu has likely supported even better value positioning and outperformance relative to peers,” Geiger wrote in the note. Geiger also named Taco Bell as a winner on value. Taco Bell doubled down on its $US1 value menu, prior to McDonald’s launching its new $US1 $US2 $US3 menu in January. The chain plans to add 20 new $US1 limited-time menu items in 2018. Wendy’s and Burger King are similarly attracting more customers with new deals that help position the chains as more budget-friendly options. Burger King has a “balanced approach to value and premium innovation, including value platforms across multiple day parts and price points,” according to Geiger. In UBS’ survey, 42% of consumers said they are eating at Wendy’s “more often because of value.” Most recently, Wendy’s launched a deal this week that offers Double Stack burgers for just $US1. The emphasis on value is symptomatic of the death of the middle class. Having “less free spending money lately” and chains being “too expensive” were the two top factors that customers cited for eating at a particular chain less often. And, the issue of fast-food being too expensive for customers isn’t getting better. “Further, more consumers indicated these two factors as reasons for eating less often at QSRs in 2018 relative to 2016, potentially indicating an even more price sensitive consumer,” Geiger wrote.